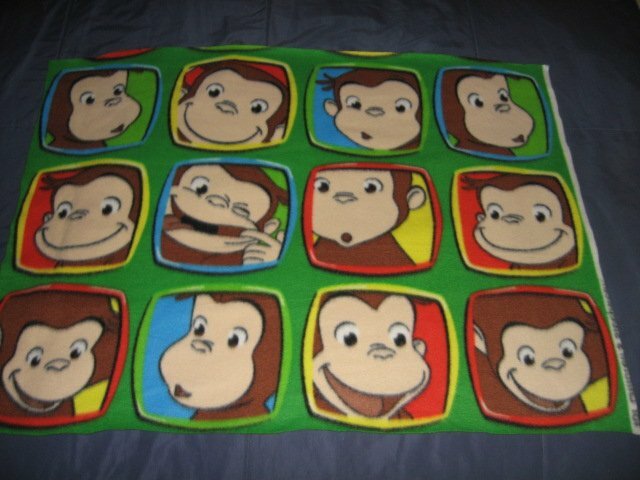 Curious George faces Licensed handmade baby or toddler fleece blanket 24"X33"
Out of print Curious George with funny faces fleece baby or toddler blanket. Great for a toddler drag along comfort "blankie"
This blanket is soft and lightweight. 24"X33"